With his romantic #1 hit “My Girl,” Scott has certainly done that, paying his dues and transforming real-life experience into chart-topping success. Now with the album DYLAN SCOTT DELUXE EDITION, a new chapter begins. Born into a musical family, Scott’s father played guitar for stars like Freddy Fender and Freddy Hart, regaling the youngster with stories from the road and encouraging his love for soul-bearing icons like Keith Whitley, Alan Jackson, and Tim McGraw. By the time Scott arrived in Nashville to start chasing his own dreams, he was still only in high school – but his drive was obvious for all to see. He began writing songs with anyone who was willing, and hit the road hard. Then, after a blistering rise through the country ranks, his bootstrap pulling work ethic paid off in the summer of 2016. “My Girl” started marching to the top of the charts, earning Scott his first- ever Gold certification and revealing an artist with a knack for hot-and- heavy sensitivity. Fans got the message, and Scott’s self-titled album debut landed at Number 5 on Billboard’s Country Albums chart, helping him gather 100 million Pandora plays, 170 million on-demand streams, and 1.5 million stream equivalent songs in the process. He made a triumphant Grand Ole Opry debut and launched a headlining tour, selling out some of the nation’s biggest clubs for crowds of over 3,000 – but now he’s circling back. 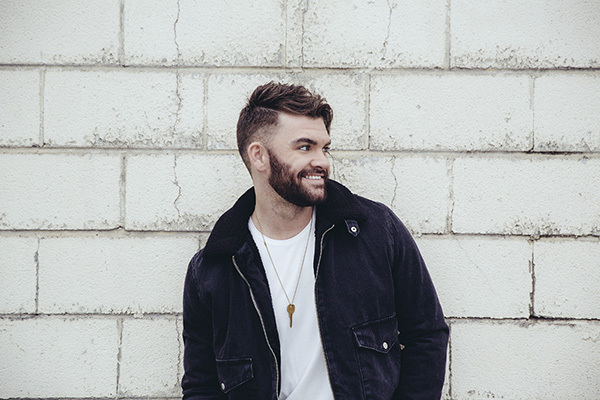 With DYLAN SCOTT DELUXE EDITION, this total-package artist is bringing new fans up to speed on where he’s been, and offering a look at where he’s headed next. Three powerful new tracks join the original album’s 13 songs, all featuring a high-octane mix of current country and pop-friendly Southern rock that celebrates both his down-home roots and big-city ambitions. More than half of Scott’s songs have flowed straight from the young star’s pen, and more fans seem to latch on to his stories each day. That feeling of connection first appeared as “My Girl” began its climb. Inspired by Scott and his wife Blair’s 10-year romance, the breakout talent says he almost declined to record the song – it was too personal. Learning to take those little moments and turn them into country Gold has sent Scott on the journey of a lifetime, and he’s far from finished. Adding fuel to the romantic fire in his chest, DYLAN SCOTT DELUXE EDITION is filled with heart-pounding beats and detailed, real-life love stories, plus vocals that combine the tender timelessness of his idols with a dose of laid-back country swagger. Still working with the production team of industry legend Jim Ed Norman, Matt Alderman and Curt Gibbs, each of the new tracks is unique. “Hooked” – penned by Seth Ennis, Morgan Evans, and Lindsey Rimes – is a propulsive, white-hot anthem of desire, perfect for cranked up backroad cruising and downtown dancing alike. Likewise, the lyrical attack and pounding rhythms of “Can’t Take Her Anywhere” hit like a punch to the gut, especially for anyone who’s watched heads turn as their girl walks across the room. It was written by Scott with Kerr and pop specialist Mike Krompass. And meanwhile, the softer side of his muscular baritone wraps its arms around “Sleeping Beauty,” a stripped-down co-write with Alderman and superstar Lee Brice that sets another private moment to music. Those three hits-in- the-making are just a taste of where Scott is going, and there’s much more to come. With his country dreams becoming reality and his first child on the way (a baby boy due in December 2017), a whole new world is about to open up. So lately, Scott’s been taking the words of Blair’s “My Girl” inspiring rap seriously – losing himself in the music, never letting go, and making his shot count.